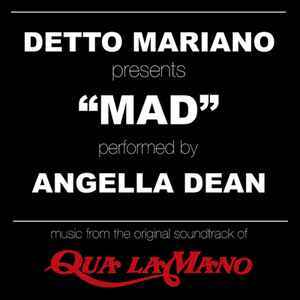 "Mad" is one of the the main songs taken from the soundtrack of the 1980s film "Qua La Mano" (whose music was entirely written by the music maestro Detto Mariano). On the B side there is the instrumental version "Gocce D'Acqua", taken from another scene of the movie. This limited edition vinyl comes with a coloured cover artwork with original pictures of the movie (from the dance competition scene where Adriano Celentano is dancing), and a special insert paper where you can read the full story of the soundtrack told from the author Detto Mariano.